Fashionable fingertips aren't hard to come by, but having a perfect set of nails is. Yoshe Nail Bar on Edgbaston Street, however, sculpt and shape the most fashion-forward nails Birmingham has ever seen. It's only a small shop, blink and you'll miss it. Next to the huge department store, Debenhams, you might be forgiven for wondering where it is. If you know where the Bullring is, however, you'll easily find this little nail bar. My friend and I were having our nails shaped because frankly why not? I had acrylic nail extensions many years ago as a teenager, and whilst they were stunning, it was hard to keep up, and a bit expensive for my part time job. As an adult I don't really have time or like to waste money on beauty treatments, but I was catching up with a friend, and she suggested we get them done. It's amazing what a polished set of picture-perfect talons can do to your self-esteem. You can book in, but they operate a walk-in service, and we were treated straight away. We both sat in (very comfortable) seats and the nail technicians immediately started removing our nail polish, buffing our nails, and getting our nails prepared for the acrylics. 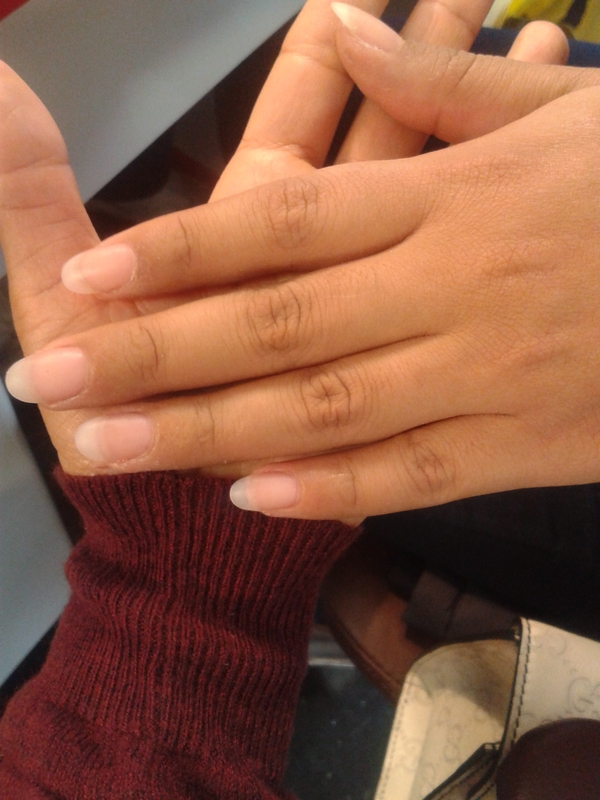 Firstly, our bare nails were prepared, then the plastic nail extensions were applied. Our technicians asked us how long we'd like them, then got to shaping them to our desire. Thankfully, the nail technician was quite gentle with me, but I did hear my friend wince, at which point her nail technician apologised profusely and offered us both a cup of tea, which we accepted. We both opted for a plain nails – my friend choosing a grey Essie colour, but I decided on a matte black, which I have seen all over social media sites, and I was very happy with the result. After we'd picked nail colours and they were applied, we placed our nails under a drying machine for 10 minutes, and they were done. Within 35 minutes our nails were picture-perfect. Yoshe means beautiful in Japanese, and that's exactly how I felt once my new set of nails were done.